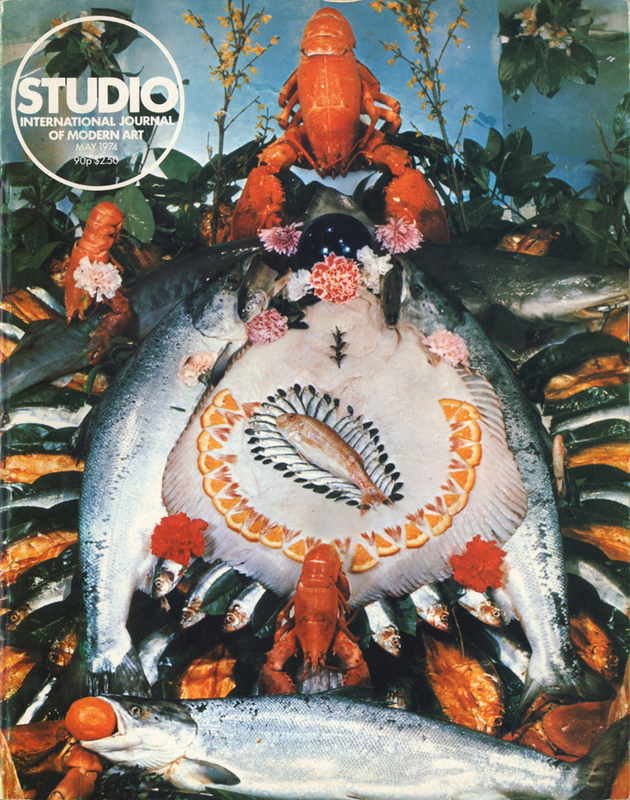 An entire issue devoted to the themes of fish and fishing. Broodthaers designed a series of worded canvas placards across a double-page spread toward the center of the magazine. London: Studio International Publications Ltd., May, 1974.